It’s that time of year again…2014 Master’s Golf Tournament in Augusta, GA. Watch Tiger Woods, Ernie Els, Bubba Watson, Phil Mickelson and the rest of your favorites as they chase the Green Jacket. Let SilverFox Limos chauffeur your group from Charlotte to/from the Master’s Tournament in our of our beautiful vehicles. The tournament will be held Monday, April 7th to Sunday, April 13th. 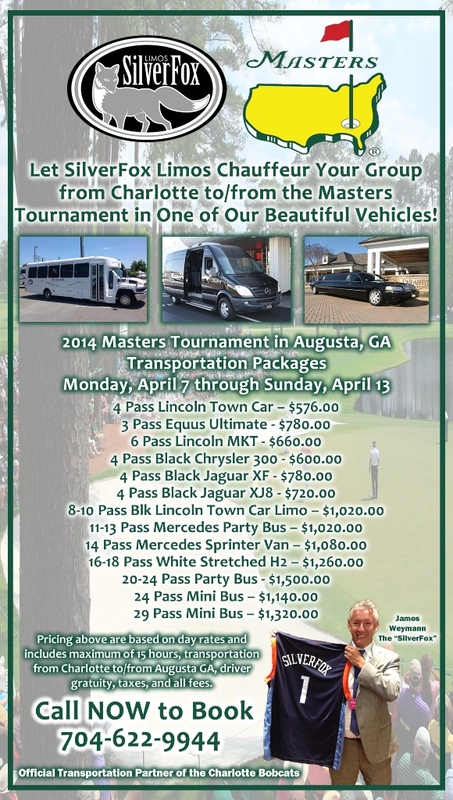 We are offering day rate pricing on transportation for the Master’s. 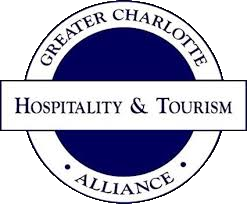 These packages include 15 hours maximum, transportation from Charlotte to/from Augusta, driver gratuity, and all fees. These packages include 15 hours maximum, transportation from Charlotte to/from Augusta, driver gratuity, and all fees. Call now to book your 2014 Master’s Transportation with SilverFox Limos – 704.622.9944!